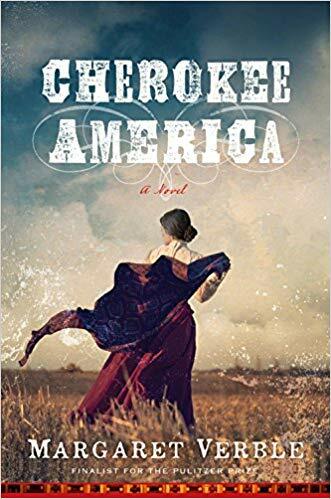 Join us in the Algonquin Room for an evening with Margaret Verble, the author of the Pulitzer Prize finalist Maud’s Line, for her new novel, Cherokee America. Cherokee America is an epic novel that follows a web of complex family alliances and culture clashes in the Cherokee Nation during the aftermath of the Civil War. Margaret Verble is an enrolled and voting citizen of the Cherokee Nation of Oklahoma and a member of a large Cherokee family that has, through generations, made many contributions to our tribe’s history and survival. Although many of her family have remained here in Oklahoma to this day, and some still own and farm the land on which the book is set, Margaret was raised in Nashville, Tennessee, and currently lives in Lexington, Kentucky. There will be a special introduction by Bill John Baker, Principal Chief of the Cherokee Nation before the discussion with Ms. Verble. This event is free and open to the public. Copies of Cherokee America will be available starting on February 19.